This item is an image. It was created by an unknown creator on or around the date 1917. 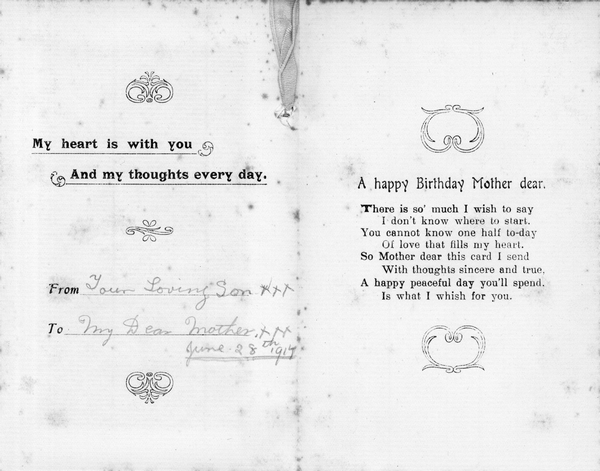 Decorated embroidered birthday postcard, sent by Sam Dawson to his mother, Mary Dawson for her birthday on 28 Jun 1917.